vacation rental property or office space.
" Excellent customer service! Extremely pleased with the entire experience! " " We just had hardwood flooring installed in our house and our house was covered with thick dust from ceiling to floor. Carina, Shannon, Kelly and Lorenza did a complete and thorough job of cleaning. They are professional and friendly. The best cleaning team I’ve ever had. Before they left, I scheduled another appointment for them to come back. I highly recommend them. Fantastic job! " " Wonderful! We couldn’t have been more pleased. Quick response, very friendly/professional and provided excellent work! We will use frequently. Thank you so much! " " I am so impressed with the quality of service from The Clean Up Club. They are by far the best and most thorough cleaning service I have ever used. HIGHLY RECOMMEND!!!!!! BEST ON PAWLEYS!!! " " I had them clean my vacation rental properties. I haven’t been there to see how they did, but I know that I did not get any complaints from my guests. The most impressive experience I’ve had so far is dealing with Carina. She is very professional, very responsive, and a good communicator. I have been in the vacation rental business for 6 years and have yet to find a cleaning company like that. " " Cleaned areas I didn’t even know needed cleaning. Also,they were able to fit me in the next day. Great service! " " They came in to do a clean up job on a construction site, (and were) very professional and gave the impression that they knew exactly what needed to be done. They were thorough in doing the job. " For The Best In Cleaning, Call The Clean Up Club! When you hire The Clean Up Club, you can count on a friendly, professional team of cleaning experts who want to make your home or business shimmer and shine! Owner, Carina Furr, oversees a busy cleaning crew, and property owners up and down the South End of The Grand Strand have been thoroughly satisfied with the work of their entire crew! Based in Garden City, The Clean Up Club provides professional residential and office cleans for homeowners, renters, property management companies, HOA’s, business owners, builders, and more! 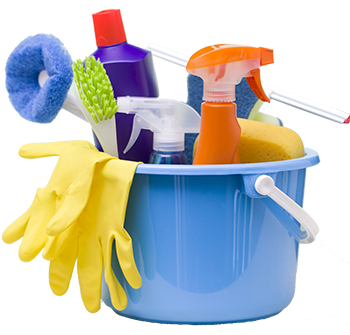 The Clean Up Club provides Cleaning services and linen rentals for the following areas: Surfside Beach, Garden City, Murrells Inlet, Litchfield Beach, and Pawleys Island. The Clean Up Club will shimmer and shine your house or business divine! Call today. The Clean Up Club is Here For All Your Cleaning Needs! If you’re relying on cleaning service to keep your commercial or residential space clean, then the workers doing the cleaning should be fully trained and highly capable of getting the job done properly. We are ready to get to work for you. Let us show you what we can do!